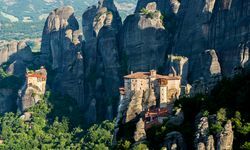 Greece is the ultimate Euro highlight with its archaic mainland peppered with beautiful beaches and a handful of picture-perfect islands cropping out of the crystal clear Mediterranean waters. 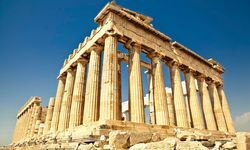 One of the great summer destinations, with everything from historic ruins to some of Europe's hottest nightclubs, our tailor-made luxury holidays to Greece offer a combination of hedonism and culture that is hard to beat. 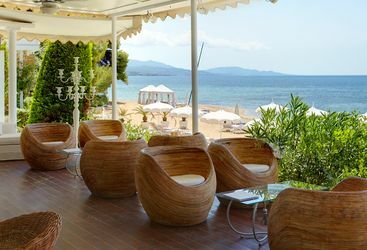 On the mainland, the three-pronged peninsula of Halkidiki may not be that trendy, but it is home to white sand beaches and some excellent hotels for families, making it a fantastic destination for a luxury Greek holiday. 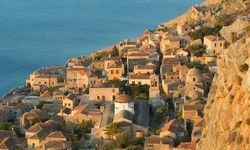 The bewitching Peloponnese peninsula to the west of Athens is back on the map in a major way thanks to a slew of new hotel openings. This is the place where our favourite explorer - Patrick Leigh Fermor - eventually laid his hat. 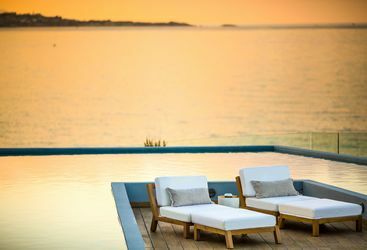 It's possible to choose from immaculate new family-friendly resorts, romantic retreats for couples and even a new Aman. 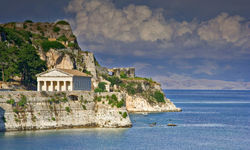 Throw in a host of the finest sites in antiquity and it's a winning luxury holiday formula. 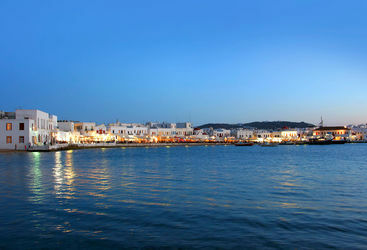 Of the thousand-odd islands scattered around the Aegean, the Cyclades are perhaps the most evocative. 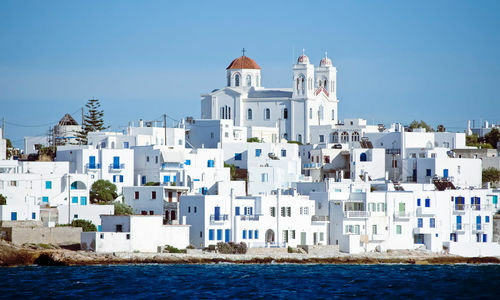 So named because they encircled the sacred island of Delos (once central to Greek mythology) these days the most famous islands of the group - Santorini and Mykonos - draw a different kind of worshipper, with the ancient gods and goddesses replaced by models and DJs. 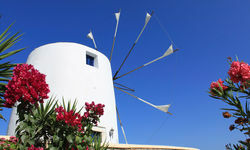 Über-chic Mykonos is the Ibiza of the eastern Mediterranean, a summer playground where Europe's hip young things party till dawn beneath the island's iconic windmills. 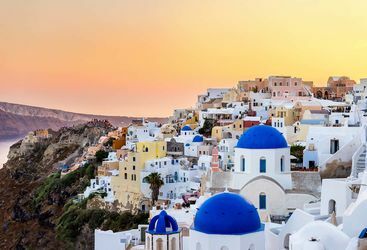 Crescent-shaped Santorini is one of the most scenic islands in the world (it was formerly known as Kalliste, meaning 'the most beautiful one'). 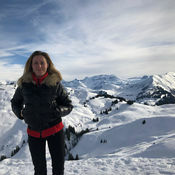 Thought by some to be the site of the legendary Atlantis, it is hard to imagine the force of the cataclysmic volcanic eruption that created its giant, sea-filled caldera and towering, 300-metre cliffs. 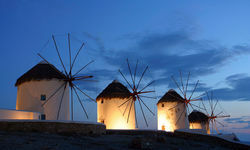 We at Original Travel have a bit of a soft spot for Greece with its romantic vistas, delicious food, buzzing night life, chic retreats, pristine beaches… I think you get the idea. 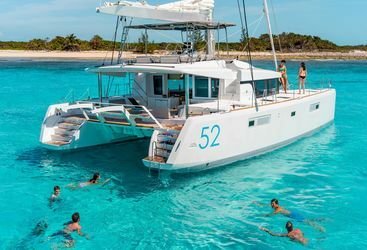 Our super Europe team are passionate about the destinations they sell and they use their personal experience of Greece to create a unique and individual luxury Greece holiday, complete with a manicured tailor-made itinerary. Tempted? My highlight: Takis’ Taverna in Limeni, Peloponnese. Fish so fresh you can see the next catch still swimming freely in front of your table, the best Greek salad you’ll find anywhere and crisp, excellent local white wine. 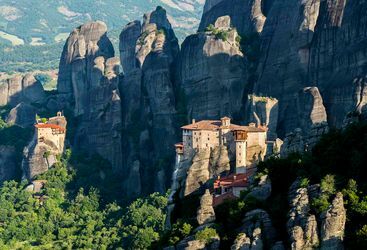 It’s easy to see why locals travel from Athens to get here! Thank you SO much for the most amazing recommendation. We will DEFINITELY go back there with you. We can't thank you enough for organising our holiday for us. Both the Kinsterna and Kyrimai were fantastic. Thank you so much for all your help organising our honeymoon! Kinsterna was a favourite for me... brilliant suggestion thank you! Santorini was also excellent - a really magical place. Thank you for all your help with recommendations and organising the trip - we will certainly recommend you to friends (already have) and sure will be coming to you in the future!